Well here we go, new toys, new prices! My madness has reached an impasse with my family, sell off some of this stuff to make room for ANY MORE NEW ONES! They seem serious this time. One can only use a few hundred minis after all . . . Here's the cream of the crop, willing to sell, trade, etc. 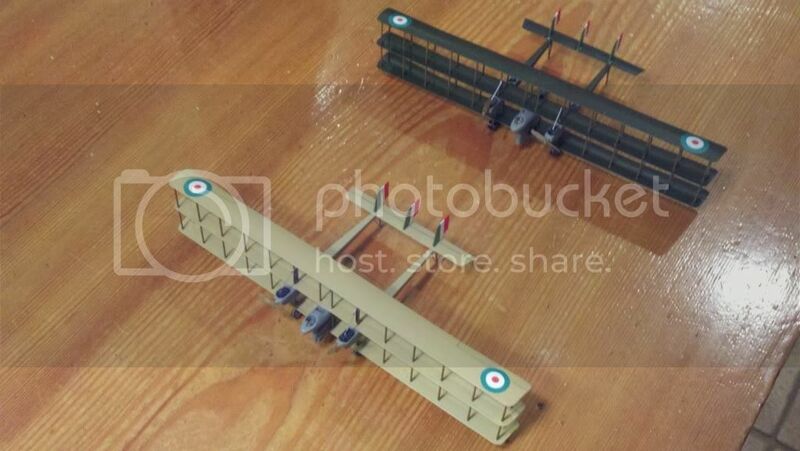 Each model comes with a base, ball gimble mount that fits standard altitude pegs, and is shipped post paid US and I will split overseas postage in half to where ever else! Enjoy, some models and colors are limited, PM if you have special requests. i do custom work as well. 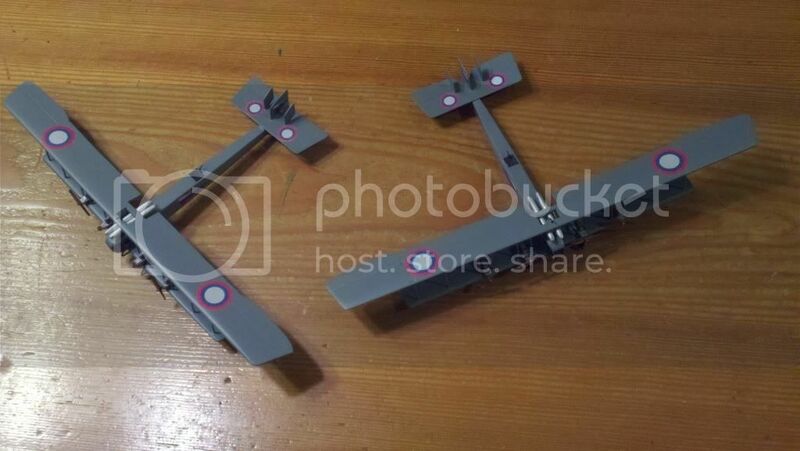 All aircraft are 1/144" scale and have been featured on the site threads. Construction is bass wood, styrene, wire, and plastics. Bases are featured on Bomber Bases on a Budget thread. 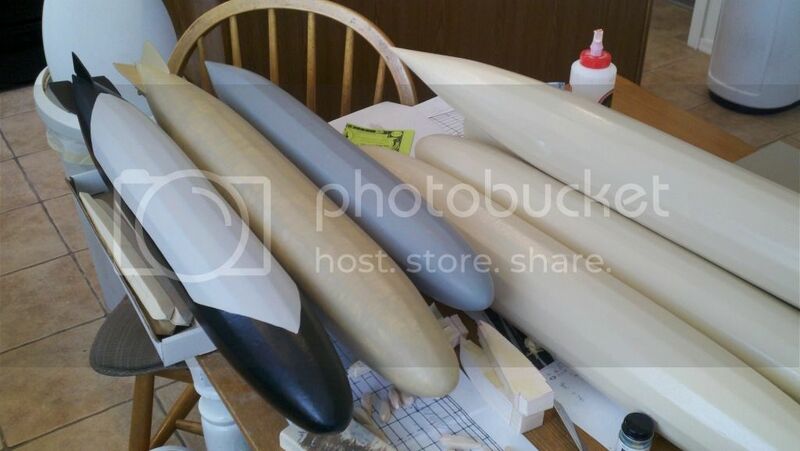 New Zeppelins at 1/214 scale are underway even now, Type P @ 29.4" long, Type R (Super Zeppelins @ 36.25" long and Altitude Climbers @ 36" long) should be ready to ship by April. So there they are! Drop me a note if any interest you. Now onto the new Zeps! New and old Zep fixtures! Spoilers! 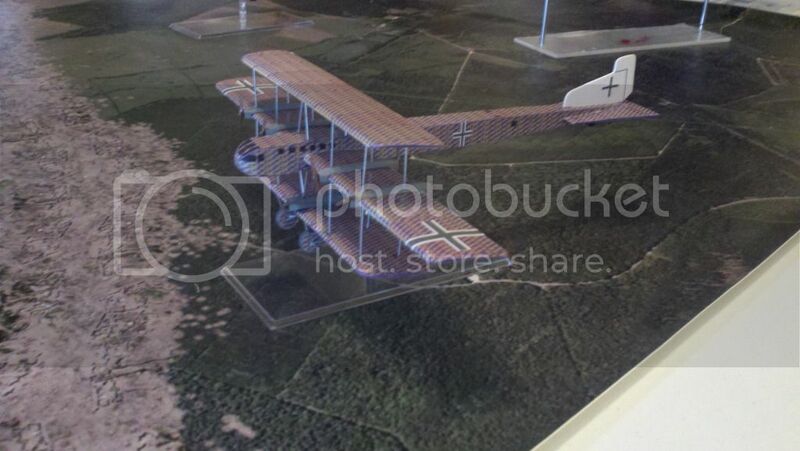 Truly awe-inspiring, and some very unusual subjects like the Dornier RS III and Otto! That is some AMAZING stuff !!!! Hey Clipper. You are keeping busy. I just ran my first convention game with your L11 (AAR to follow soon). One thing that I was thinking while the game was going on was that it would be neat to have a set of dials on one of the altatude pegs to track damage. One ring with 0 to 12 on it, and another with 0-9, double stacked like the A.A. altatude dials. Just a thought. you had not much time left to do other things in youre life eh? 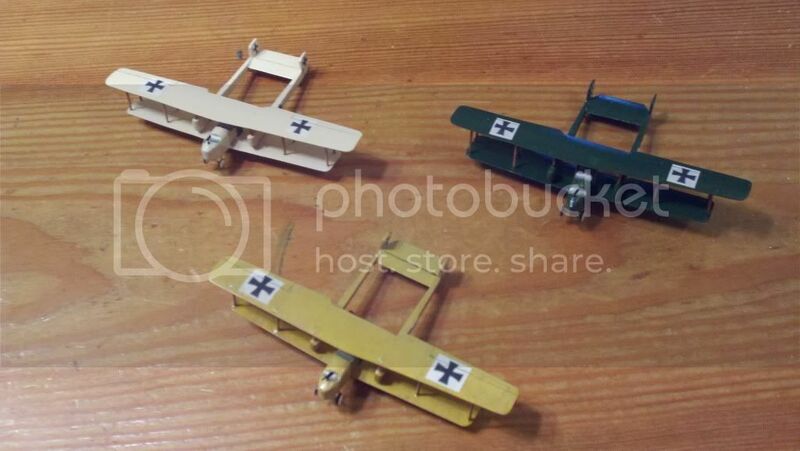 First, I can't believe that you even have all these custom planes in your collection. But to also hear that you are selling all of these? It's like you are a competitor against WGF and this is your store front lol. Lovely stuff here! I am just having too much fun! My goal is to enrich and enhance the game, NEVER to compete! 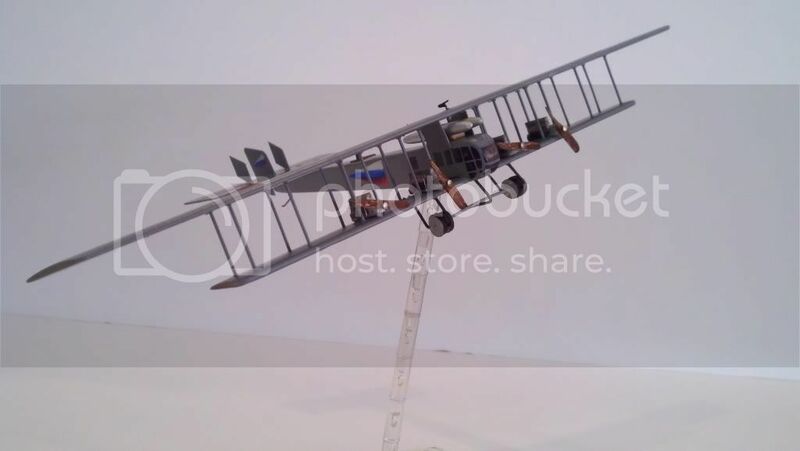 The builds are fun challenges for me, I have spent over 40 years building flying scale models from indoor rubber scale B-24's to outdoor 1/4 scale RC. 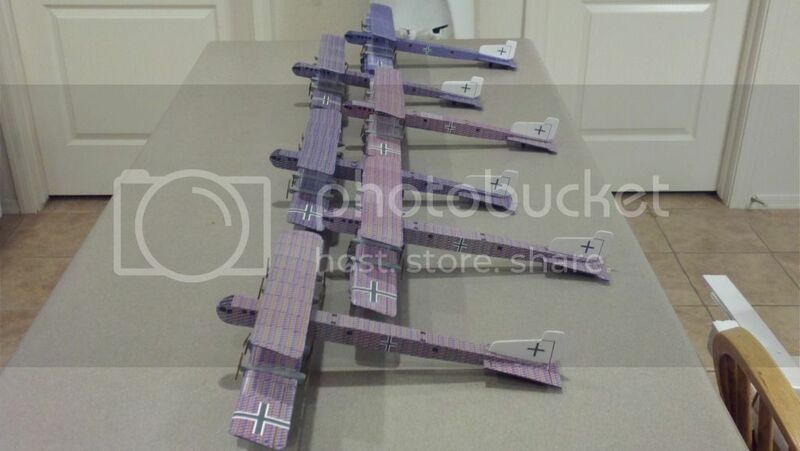 Here's my first WWI build I did at age 12, still have, still flies (control line scale). Yeah its in my blood! And it is hopeless! Just plane! Amazing! Still so tempted to get a zeppelin! The New Super Zeps and Altitude Climbers are in the works! Very cool and evil looking in black! Just come across this thread. So many interesting planes and balloons. 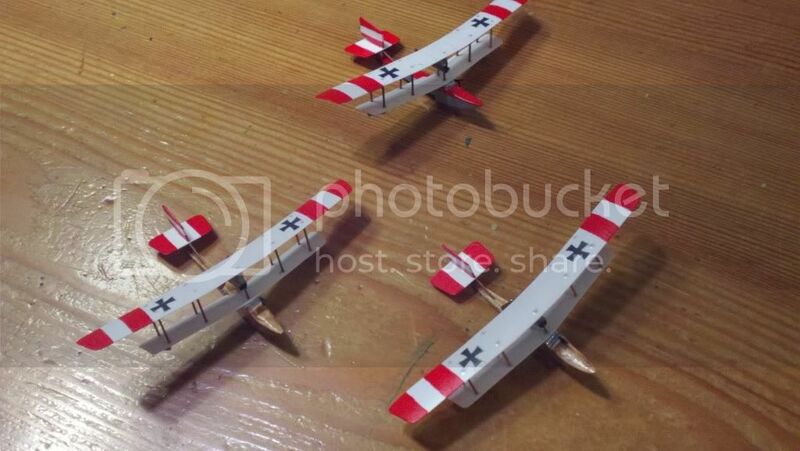 I've been watching some of your early war shapeways work with interest. Top notch as usual! And I am pining for a custom Dolphin... must resist. Trust me, as a fortunate owner of several of these. As good as these look in the pictures, they're even more so to actually see and hold them in person. I am truly blessed to have Dave as my friend and as a member of our flight. He is truly awesome. This is beyond impressive, sir. My jaw dropped literally, and it hasn't re-attached itself just yet. Now I almost wish I get outbid on ebay, so I have the funds to divert to you. How many of the Drachens do you have? Five drachens at the moment, they drift in and out with the tides of war : ) And with the rocketeers gearing up they may go up in smoke! I have about 300+ unbuild 1/72 armor models. 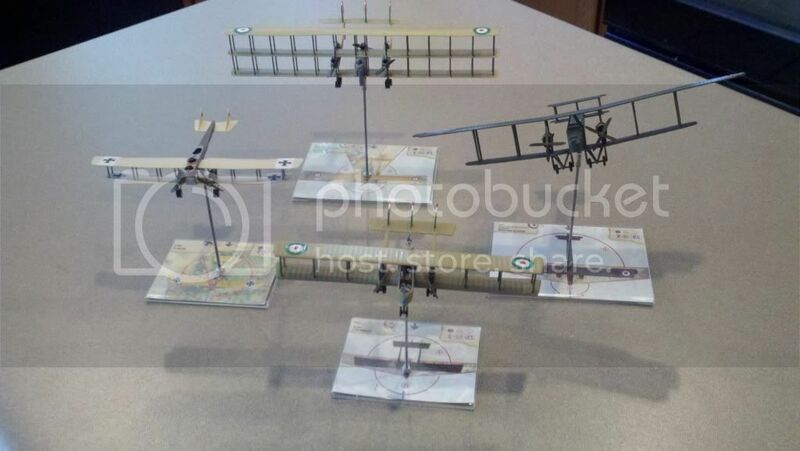 My wife says I should open a hobby shop since I have more then the local shop does. Your models are fantastic. 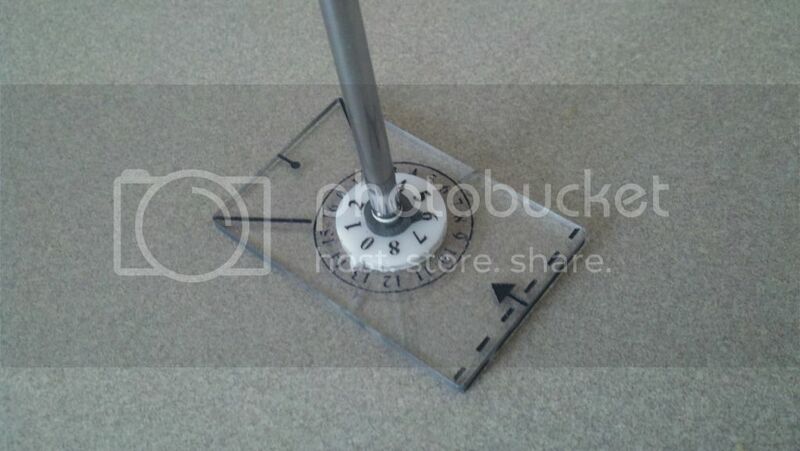 Trust me, playing with one of these is way too much fun. 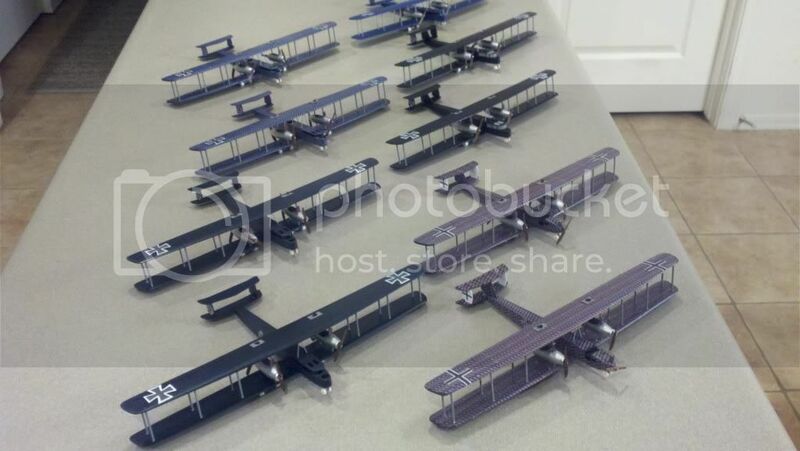 Dornier RSIII and the Zeppelin's mostly. Paypal is bone dry, Ebay! Need to reload. Must stop spending there and spend here. [ Do you take Paypal or just credit cards, checks?] I seen 'For Sale or Trade', I have a slightly used Wife & 2 cats, think about it, I delivery! But really, I will be giving you some business. Thanks for using your talent and skills for making this game a little better. 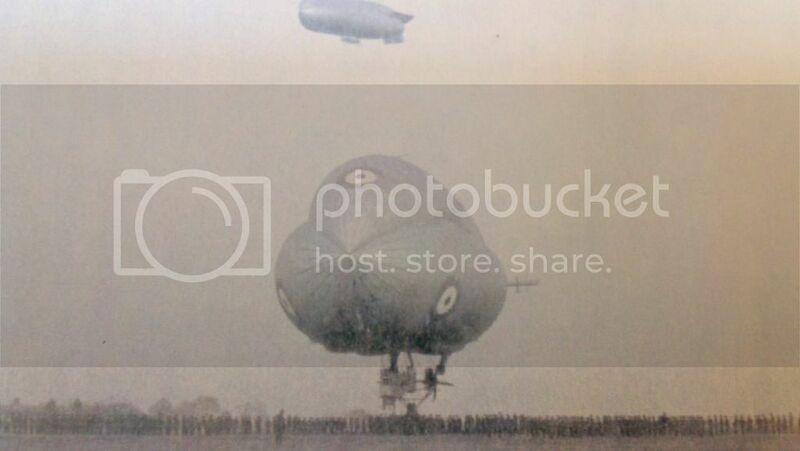 Hi clipper1801, I just have 2 words to say, Zeppelins! & Zeppelins! I think I read you will paint one to desired color of buyer? And I was thinking of adding a lot more M.G.'s. Do you take that kind of request too? I only know of 2 classes, type P & type R[supper Zepp's]. I was reading the type R - L.32 had 10 x MG's, thats some defensive fire-power. I just recently bought and watched the movie ' Hell's Angel's', seen it? The opening action scene, a Zeppelin attacked. But this is what I liked, on the top of the Zepp., there were 2 adjacent guns forward and 2 aft,facing port & starboard, engine nacelles had 1. I would like to see about 3 in the command Gondola. Would you add more to the ones you build? I don't mean this many, just more. I'm not ready to buy one from you yet, just wondering about adding MG's and differ. color, even though I like the camo too. One other thing, RC! I love them also. Have only one. 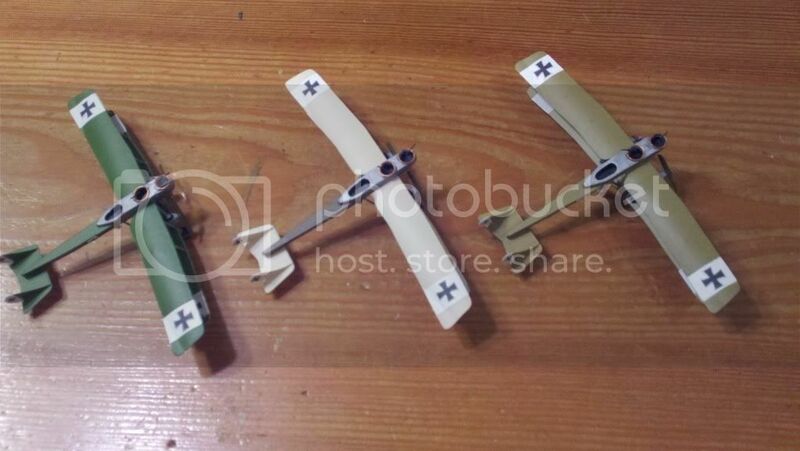 Want to build a Nieuport 28,about 35" wing. 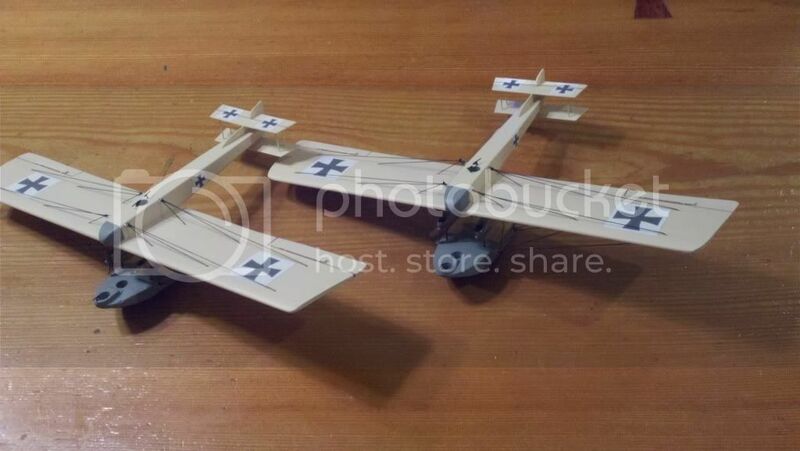 Did you see the new plane from 'Hobby King', Fokker E. III, 4-channel, 40" wing, its listed as Beginner/trainer, thats where I'm still at, but looks like a fun plane to fly. ARF, needs Radio & receiver! And cheap, $96.72. 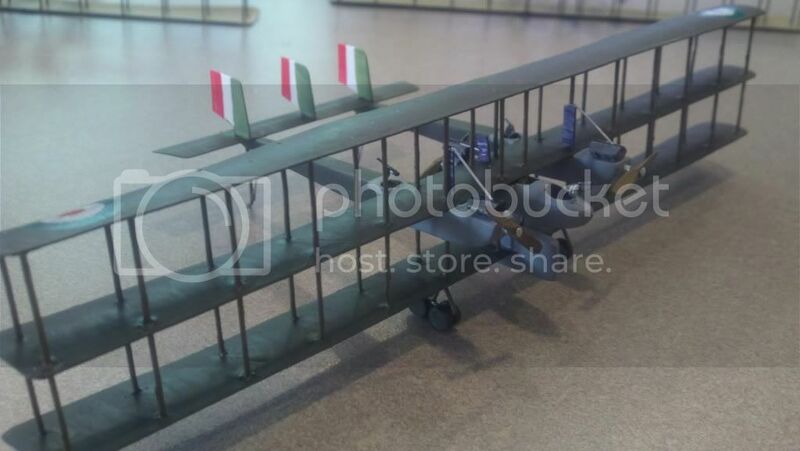 It might not be for you, but maybe for others not yet into RC, but wants to, this looks like a good plane to start with and its WWI! 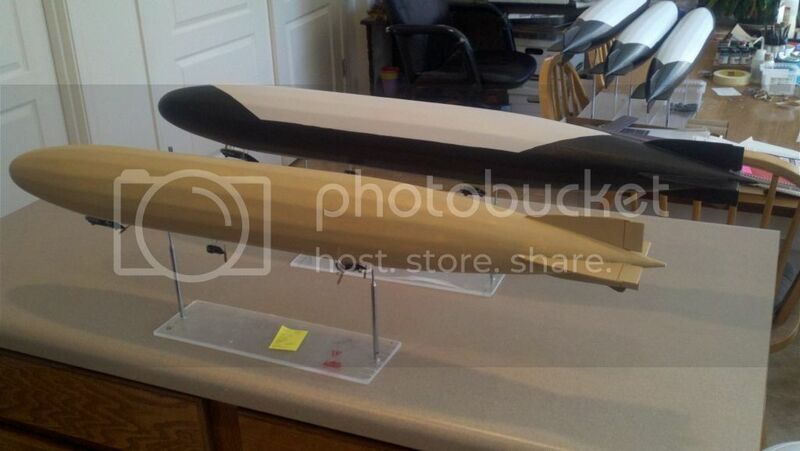 Last thing, ever build or thought of a RC Zeppelin? A, yeah. I do the custom thing a lot. If you have a color scheme and armament plan I can make it. I have a couple dozen cut and first filled sitting in my very hot garage. Not a problem for the zeps but a 90 degree shop is not a happy place for humans. Even the elves rebel! I am resorting to summer schedules which means into the shop at 6:00 am and work there till 8:00 am then off to work. Progress on the zeps is slow but so are sales at the moment. Gives me time to work indoors on the minis! So far my wife does not mind the dining room table painting zone. Good plan to have a 4 x 6 foot table! We can eat at one end and as she does her needle work I can do my models, has worked great for 35 years! The kids had to find their own room along the way. Lately there has been a proliferation of Flames of War and Dr. Who minis on their side of the table. Families that build together stay together (mostly to share the glue and lights). I am interested in a zepplin and perhaps a drachen or two. How do I contact you to set up a purchase. 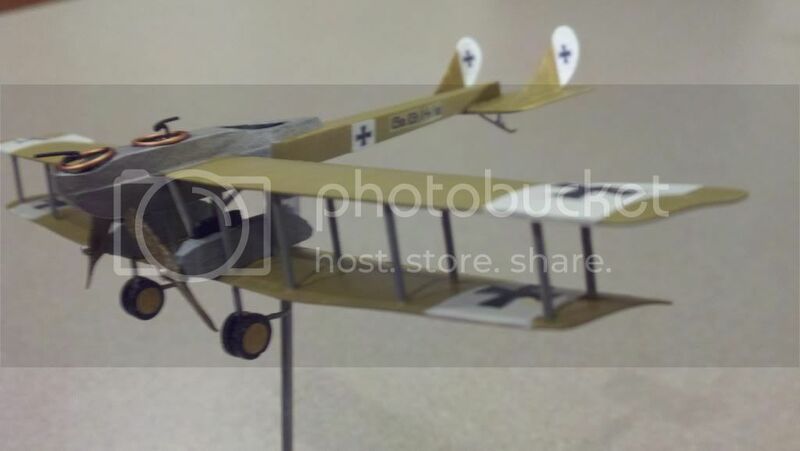 You are a great model builder. Spoilers! England had better be ready, its coming at you at 19,000 feet! Clipper catching up . . .
And they are done! 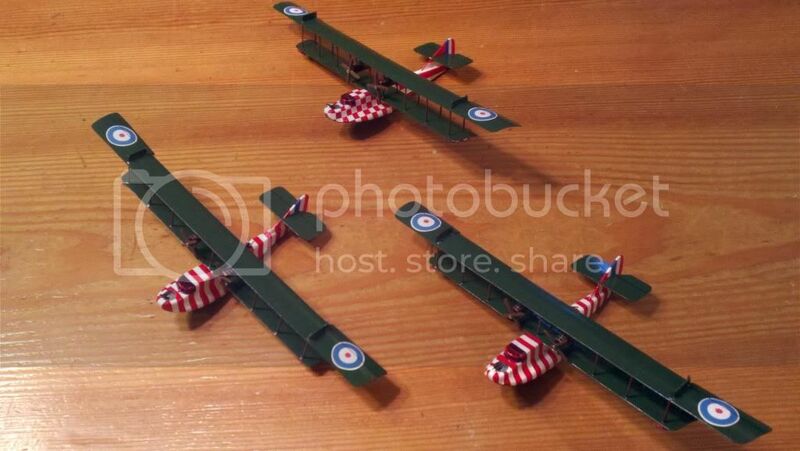 First 5 off the building bench, meet the Super Zeppelins! Still at 1/214 scale they come in at 36+" and have a new altitude and attitude! Bringing one of these down is a bit more challenging that ever before . . . I would love to have two balloons - grey and black please (one german and one British or French would be perfect). 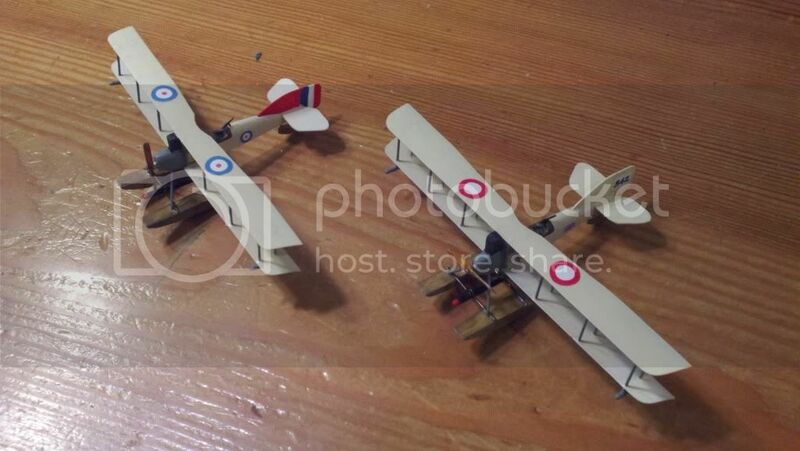 Added these telescoping high altitude stands to my listing at $10 The elves are getting going on the new North Sea Blimps as well . 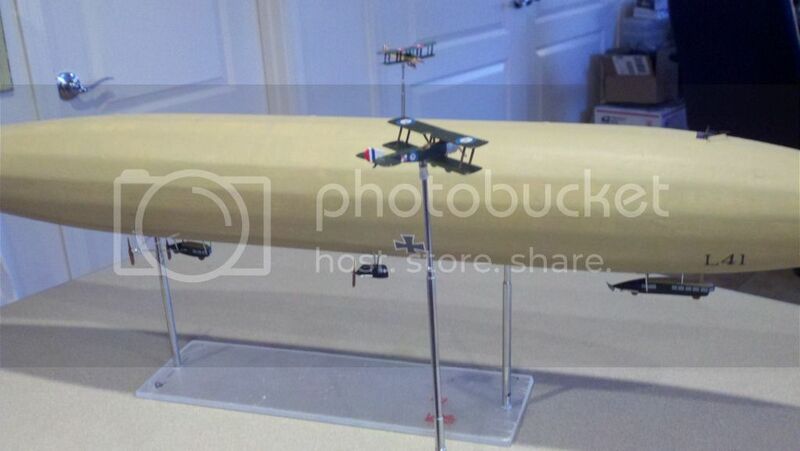 . .
My North Sea Submarine scout arrived today in fine fettle just rearing to get out there as soon as the mist lifts. We will be trashing some subs very shortly. 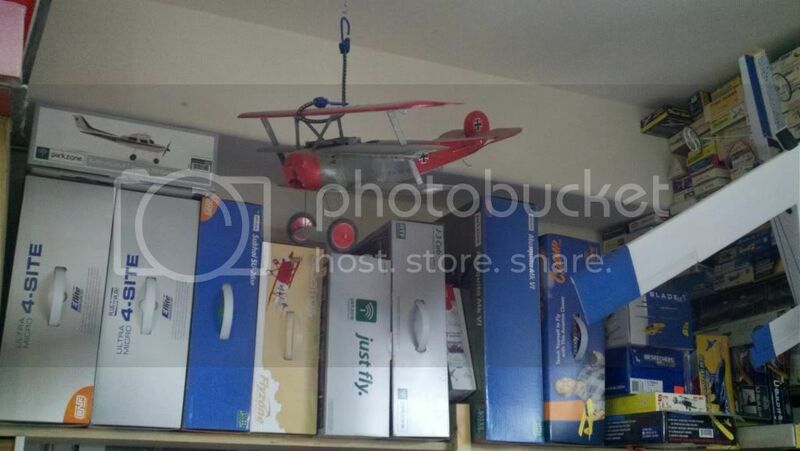 Last edited by Flying Officer Kyte; 12-27-2012 at 04:36. 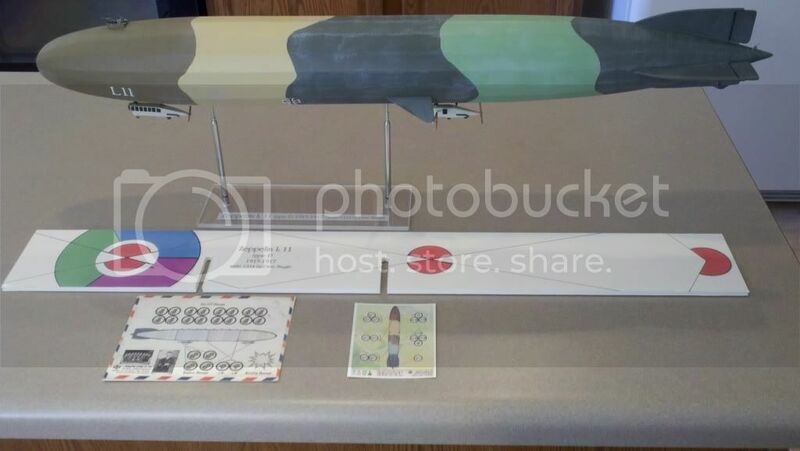 While I have a type P Zeppelin, and am acquiring some 1/200 home defence aircraft for specific scenarios using it, that North Sea Blimp looks tempting... as do the telescoping stands. Greetings Peter! The prices are all post paid for the US for first class mail. Get them while you can, the elves are looking for work . . . Clipper drifting towards a new war front. . .
seriously gorgeous...now, sell the secret on how to convince the wife so i can buy some. I am blown away by the beauty of your creations! 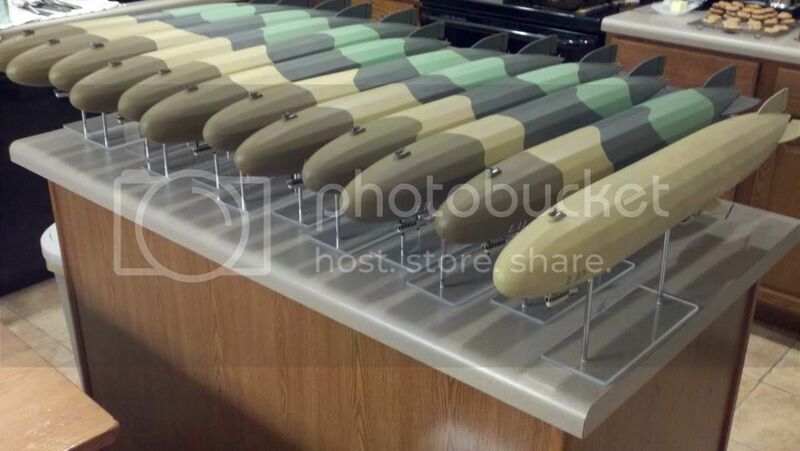 Getting geared up for a new line of zeps, blimps and bombers skysters arise! The North Sea Airship is amazing Zoe. I'm just trying not to go Zep in the night. I really don't know how I would hide that one unless Clipper does it in invisible paint. David how much to ship a Zepp to England, North East? I received a black drachen this week. Absolutely beautiful, and David is wonderful to do business with. I might as well inform my employer to simply send you a few checks, David, for I think it is safe to say you will have a repeat customer here. Thanks for your service and for enhancing our games. 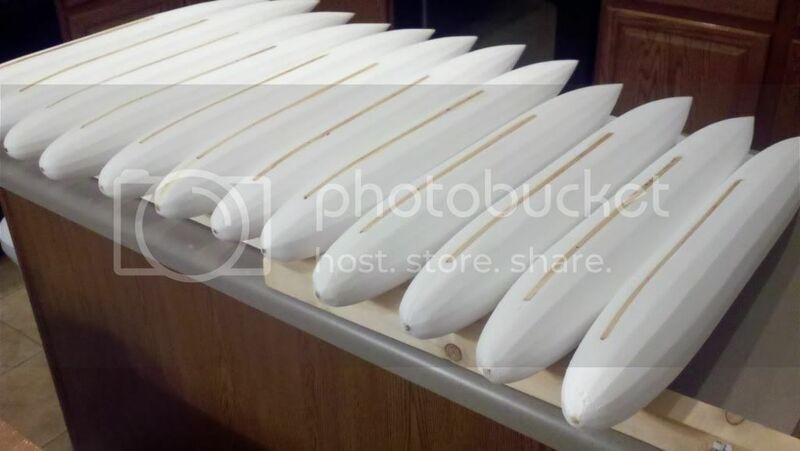 I was happy to help Dave out and take a few planes off his hands. They arrived in prefect shape and were nicer than the pictures show. I like the way he paints and shows the plane in all it's glory. 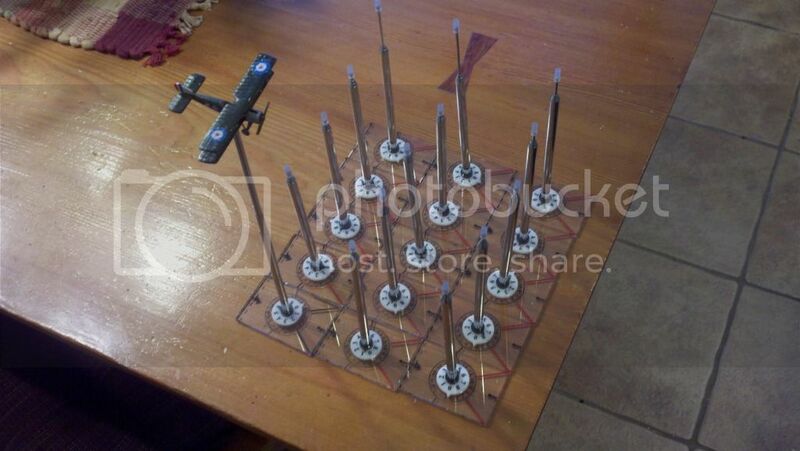 I have also ordered a Zep and a few flight stands and have asked Dave about a project/custom model or two. Thanks for the great service and an easy transaction. WoW! Honest, all I wanted to do was honor the effort and passion you so obviously put into your creations. They are magnificent! And you make them so people can use them. So, I had to come up with a way to bring these things to the table. 'On the shoulders of giants..."
Others, obviously, share your passion for creation, as Steve [Guntruck] put together the fabulous cards that made using the bomber possible for noobs like me. I will not apologize for trying to showcase all this effort, and I dedicate my small contribution to giving this awesome plane a chance to "fly" to you, your creativity and unbelievable production capabilities. If this creates work for you, I'm not surprised. But you could always direct them to your build "How To"s' and let them develop their own skills (I have to tackle that Burgess-Dunne, thanks). Thanks for your inspiration, and I, too, will be groveling for a Zeppelin in the near future. Whether you build me one, or tell me to pound salt, will give me an indication of how badly I ruined your life with my tribute. 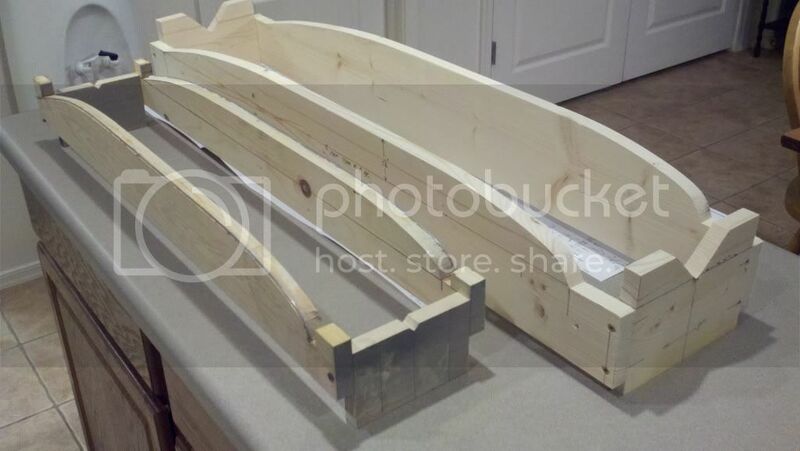 Last edited by OldGuy59; 06-10-2013 at 19:07. If that turns out to be the case, my game would last one maneuver before the Forssman would go down due to internally generated booms. Mike, you showcased this beauty very well. 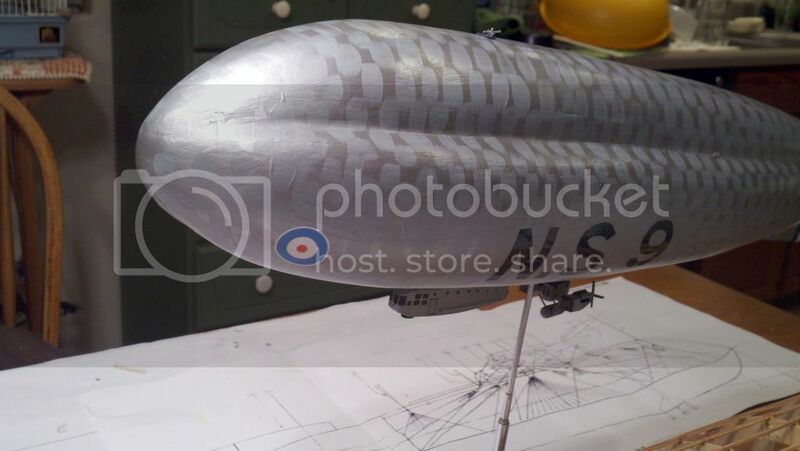 Mike, I am truly honored, i just had no idea how cool and fun it would be to have some one actually do something so cool with one of my models : ) The Skype Wars is way cool technology which really accomplishes my inner goal of connecting avid aircraft fans. More power to you! Our local group has faded out with only a few of us still gaming, most are just collecting which is cool, but misses the goal of getting people together around a common interest. I really love to dive into a project and to have others into it too makes it more fun! Thanks again! If there is interest I would be glad to dive into another build . . . I sent you a pm but i am not sure it went through. 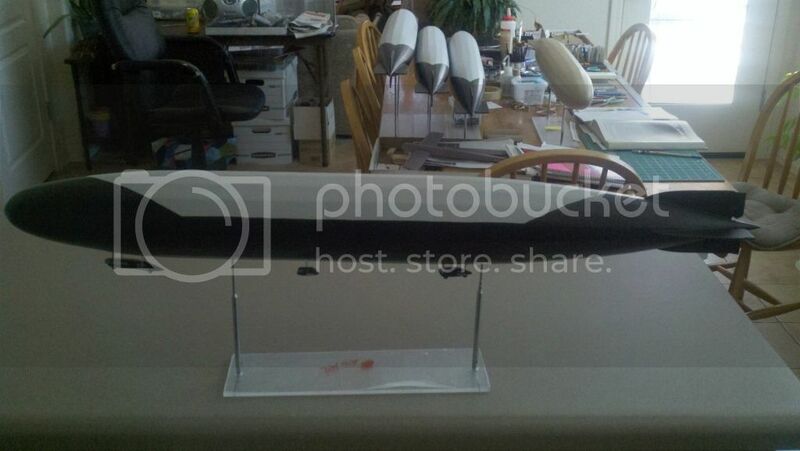 Could I get a black type p zep shipped to me asap? 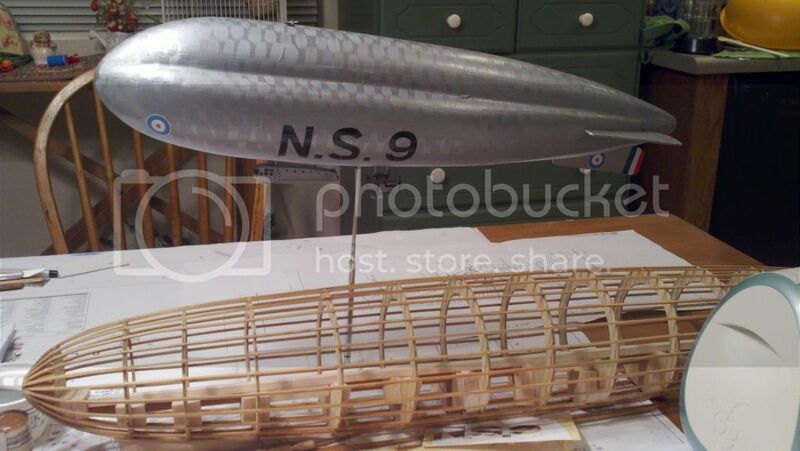 Okay LTA Fans, I am retooling the elves playland to finish 3 more of the 1/144 scale North Sea Blimps, one is already spoken for, the other two are up for grabs! PM me for details, dates, and dollars . 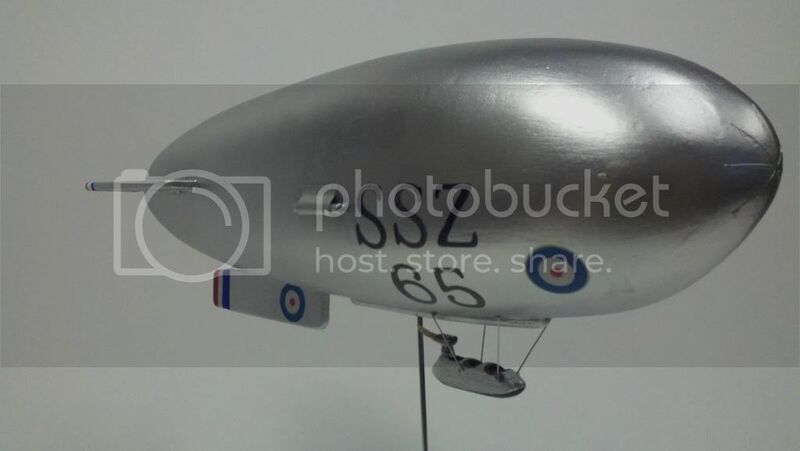 . . build thread Hobby Room "North Sea Blimp Lift OFF!"